Need a new smartphone? 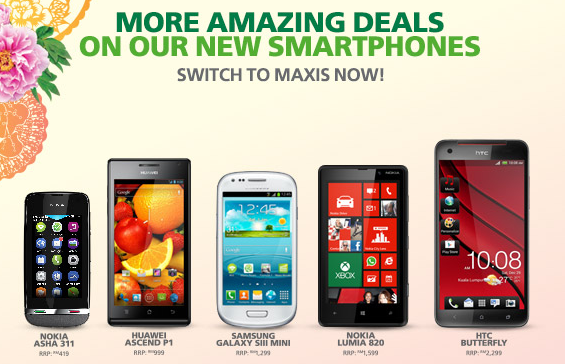 Maxis is currently having a new smartphone deal that can score you a brand new phone from as low as RM28 when you sign up for a 24 months contract under the telco. You can also sign up for a Family Plan Supplementary line along with a 200MB internet plan for a total of RM58/month and get the Nokia Asha 311 at only RM28. 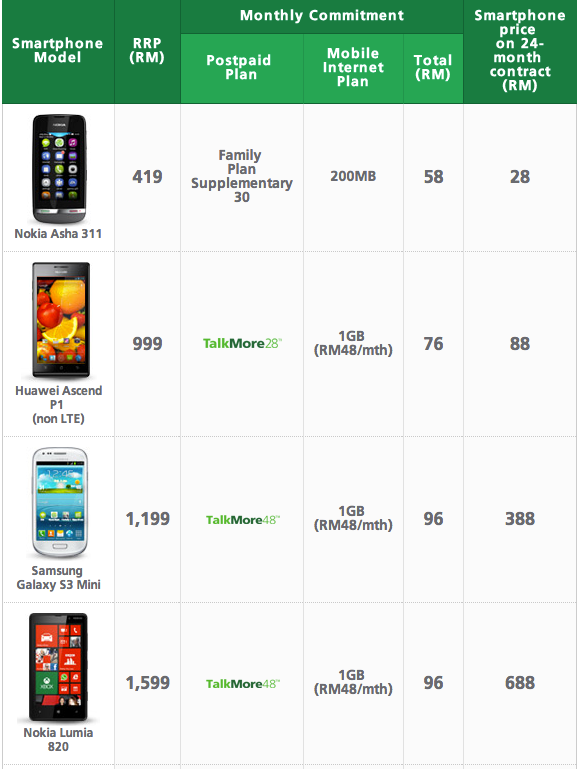 Maxis is also offering the HTC Butterfly under this promotion which would end on 31 March 2013. Visit Maxis for more information.